Mark Heylmun, lead guitarist of Suicide Silence joins Doc to discuss the harsh criticism of their creative changes on their forthcoming album, the band’s “old school” approach to jamming and chemistry, their personal artistic process and how it relates to fans, and Mark ends up interviewing Doc a little bit to get some insight on what hindered God Forbid’s career. This episode features the song “Doris” by Suicide Silence from their self-titled album set to be released February 24th 2017 on Nuclear Blast Records. Sometimes you have a confluence of thoughts coalesce in way that begs immediate attention, and now is one of those times. 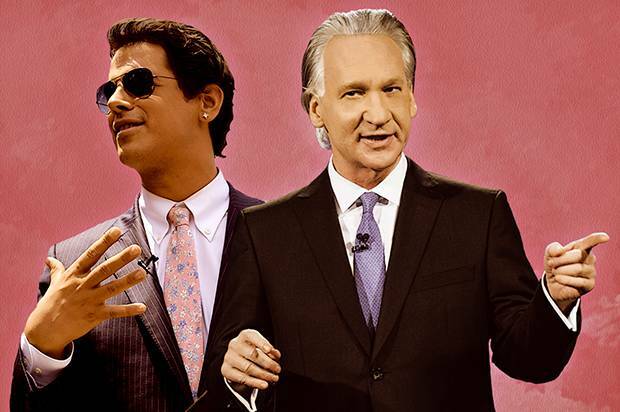 After watching Friday’s episode of Real Time with Bill Maher and the interaction with controversial guest, Milo Yiannopoulos, I couldn’t sleep. The provocateur provoked. Everything post the election of Donald J. Trump feels like uncharted territory, and what I thought I knew contained vast holes of ignorance. In my world, the Milos, Ann Coulters, and Alex Jones’ were sordid, fringe figures, and yet what I failed to see was that they were signaling of a change in the culture. That’s the thing about getting older; the culture changes while you’re distracted in self-satisfied comfort of predictable outcomes. It never feels good to be out of touch. Doc returns from a break from the show with special guest, Bill Hudson, a prolific and virtuosic guitarist for bands like Trans-Siberian Orchestra, Circle II Circle, Vital Remains, and Ex Man of Westfield Massacre, Cellador, Power Quest, and many more. They discuss how Bill emigrated from Brazil to join the band Cellador, his early missteps and attitude problems, his transition into becoming a hired gun, and his philosophy on how to make it as a pro musician. This episode features the song “Of Dirt” by the band Firefly Atlas, and a demo version of the song “E.G.O.” by Bill Hudson.